Do you know what a “Schwarzplan” is? In English it is called “figure-ground diagram” and is a map showing all built areas as black and everything else in white colour (including the background). 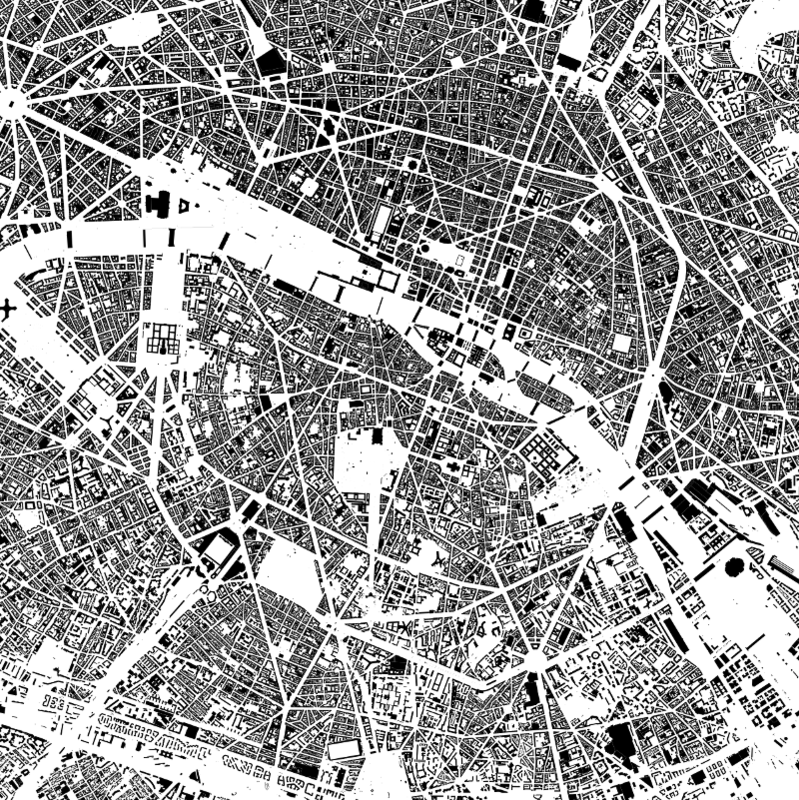 Here is an example of such a map for the area of Paris. From such a map you can gain insights into many different aspects of urban structures. So it is for example possible to recognize hints of the age of parts of the city, their kind of reignship, their history of development, suspected density and many more. Furthermore, figure-ground diagrams have an aesthetically appealing effect and strongly underline the differences between different cities when comparing them. 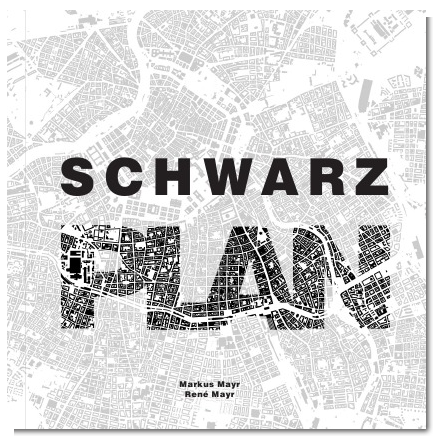 “Schwarzplan” is an atlas displaying figure-ground plans of 70 different cities all over the world together with some basic statistical information about their populations and extent on 152 pages made out of high quality glossy paper. You can take a more thoroughly look on the books website or directly buy it at epubli.de or amazon.de .